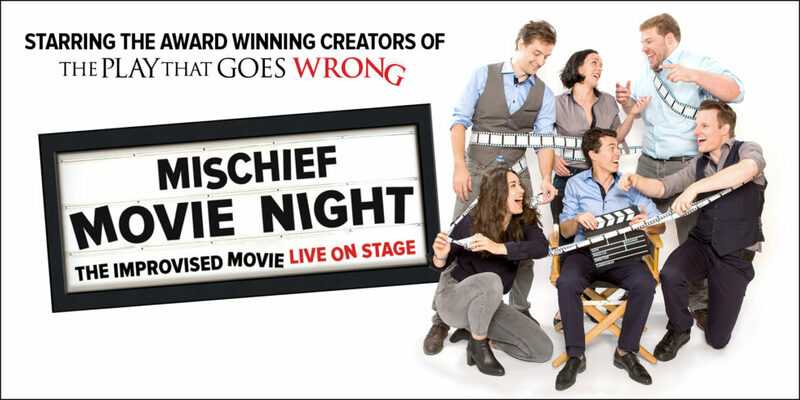 The Mischief Theatre Company returned to Cardiff with a brand new show, Mischief Movie Night, which delivered calamity, insane capers, and much hilarity on an epic scale. 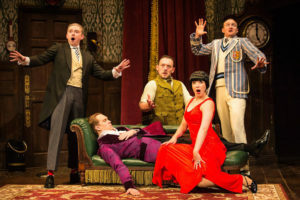 What is different you may say to the company previous productions such as The Play That Goes Wrong that showed at the theatre in May – the audience is in the driving seat! The cast is at the mercy of the audience and who must use their quick wit, creativity and sheer talent to create a performance based on the scenario you created for them in that moment. This is no small feat but The Mischief Theatre Company as demonstrated in the previous productions (Peter Pan Goes Wrong and The Comedy About A Bank Robber) certainly pulled it off. The seasoned original cast members we know so well and have come to adore for their laugh out loud shows packed full with British humour and organised chaos, exceeded all my expectations with their new production. Their objective is to create a feature-length film based on the genre, location and title provided to them by their audience completely on the spot, and getting you to laugh while they’re at it. 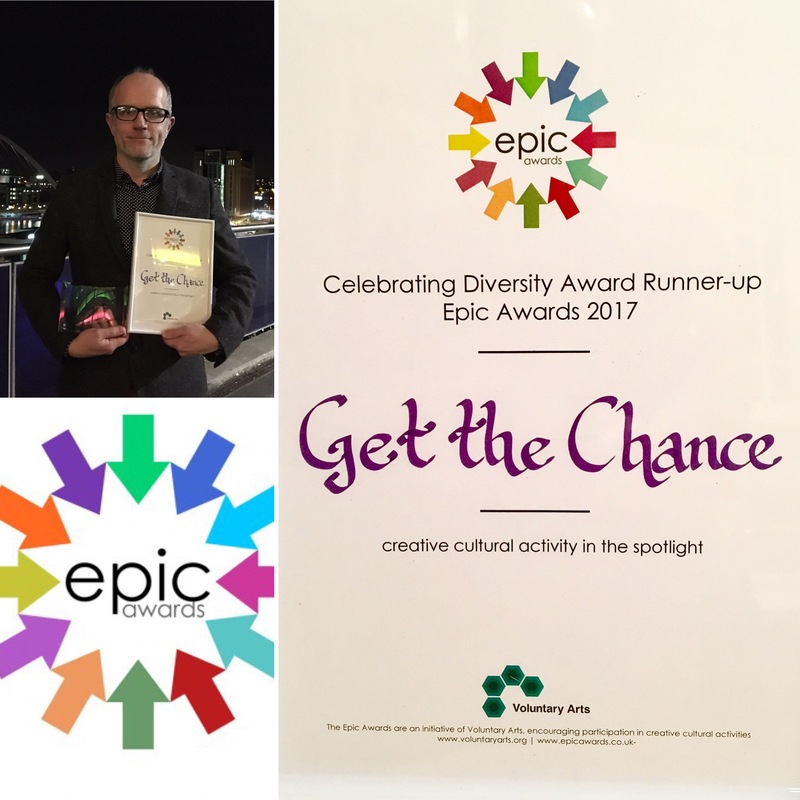 A whole host of genres, mythical creatures and wishful fantasies where thrown at them, ranging from erotica to anima, fire breathing dragons and Wales winning the Six Nations. Oh boy did they deliver! The Cardiffian Tales were born which saw Wales a divided land full of mythical beasts and creatures unite and defeat the evil ice king with a tree elf leading the charge and as a symbol of their new unity saw Wales rise up and win the Six Nations. One aspect of the show that I particularly liked was the live rewinds, plenty of pauses and even a fast-forward or two, utilised by the narrative using a figurative remote to cut out dead ends or repeat audience-hit jokes. 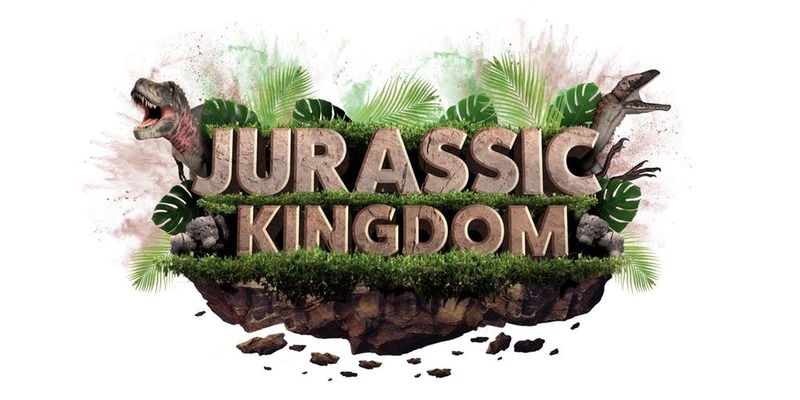 The continuous slapstick and stupidity for a whole 75 minutes brought tears of laughter to the audience eyes and put smiles on their faces from start to finish. 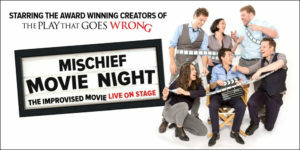 Mischief Movie Night is improv theatre at its best! A masterpiece was created that night, which was brilliant, funny, interactive and truly a crying-with-laughter experience you will not forget. 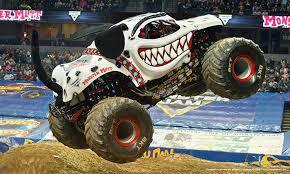 The hugely popular Monster Jam live show arrived back at Cardiff’s Principality Stadium; the home of Welsh sport was transformed into a methanol-fuelled bonanza of gravity defying stunts. Before the main event, there was a ticketed Pit Party that gives die-hard fans dressed in all the gear the chances to meet their heroes. The queues were huge but this was to be expected given that the 12 monster tracks and their drivers are worldwide celebrities and this the only UK date on their current worldwide tour. Nevertheless, to be able to get somewhat close up to these monstrous beasts of machinery was truly something special. As the trucks stand 4m tall and 4m wide, with tyres 1.7m tall, weigh up to 4,500 kilograms, reach speeds of up to 110km per hour and jump as far as 130ft. A spectacular light display opened the show, which is then split into four sections for the next 2 hrs: the racing championship, the stunt motorbikes, paired wheelie competitions and a free-wheeling session for the drivers to really show off their stunts and tricks. It’s incredible stuff; cars doing wheelies, jumping off platforms and flying through the air, balancing on two wheels, and even the odd back flip. The show also provides many heart in your mouth moments as trucks lost parts, toppled over and one even had flames coming out of it. But an emergency team of forklift trucks were on hand to rescue the fallen vehicles and there were cheers all around when the drivers emerged unscathed. 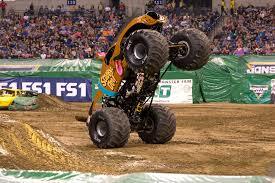 Monster Jam is fast, exciting, jaw-dropping entertainment. I found myself in complete awe as to what these amazing trucks and their drivers can do both on the track and in the air. 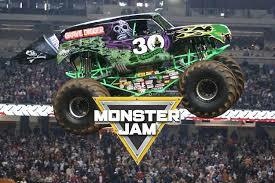 It’s not to be missed – Monster Jam Live is set to return to the Principality Stadium, Spring 2019. 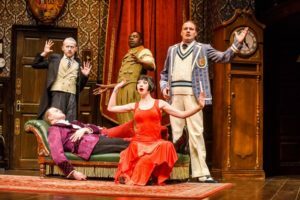 Returning to the New Theatre, Cardiff where the original tour begin in 2014, The Play That Goes Wrong, is a side splitting, belly aching, highly physical, extremely ambitious slapstick comedy that has taken both the West End and Broadway by storm. 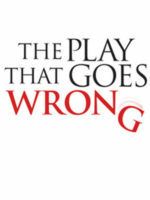 The play introduces The ‘Cornley Polytechnic Drama Society’ who are attempting to put on a 1920’s murder mystery, but as the title suggests, everything that can go wrong… does. In fact, it all starts falling apart even before the actors take to the stage in the equivalent of a pre-titles sequence. 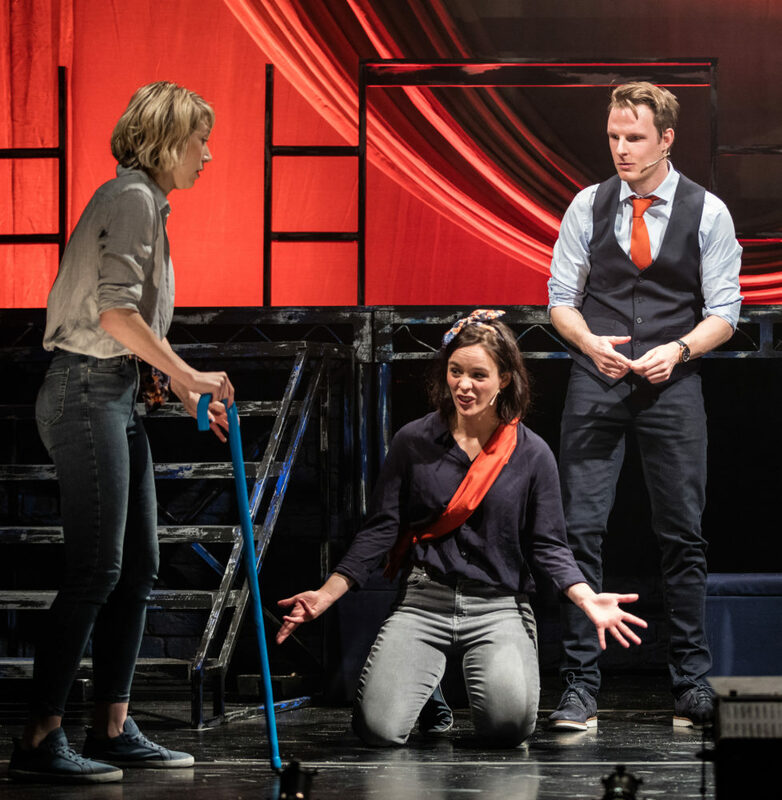 As a member of the cast runs around the theatre looking for a dog called Winston and a Duran Duran CD, whilst stage hands recruit an unsuspecting member of the audience to help finish the stage construction with hilarious albeit disastrous results. 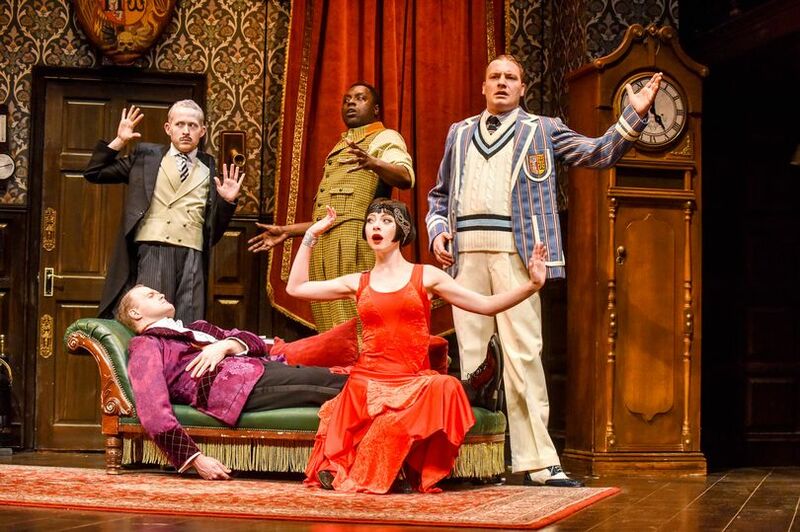 The show sits in a fine tradition of British slapstick, and of plays about theatrical blunders: from doors not opening to the same doors not closing, pictures and props falling off the walls and parts of the set collapsed with cast members on them and parts of the script repeated on a loop as members forgot their lines. There was barely time to breath in-between each joke, for the first time in my life I truly experienced what it means to laugh till it hurts. 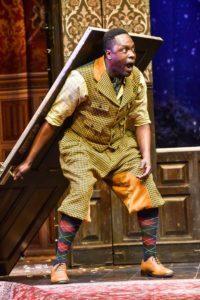 It is difficult to single out a cast member as they each showed excellent knowledge of comedy timing and demonstrate the physical prowess to perform their role while having to think about so many different things happening on stage. 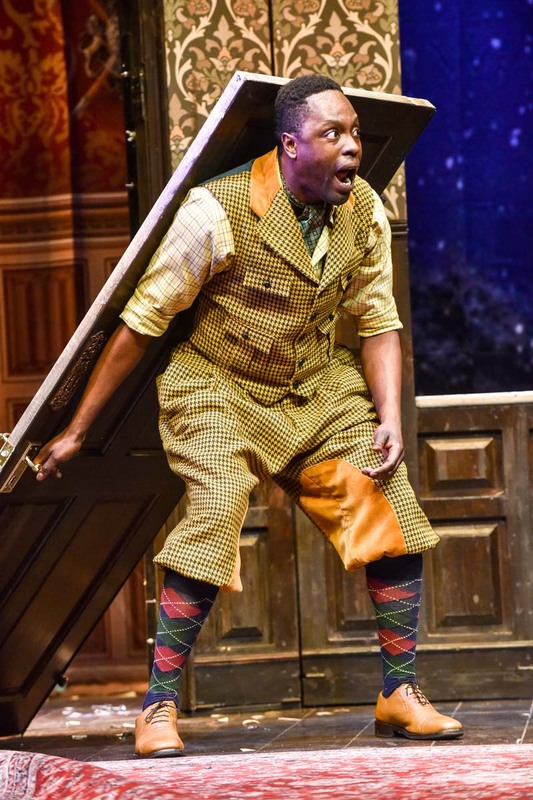 The Play That Goes Wrong delivers laughs that come thick and fast, Mondays’ Opening night audience at the New Theatre, Cardiff absolutely roared with laughter and where buzzing as they left. If you have recently found yourself in need of cheering up make sure you catch the show as it tours the UK in 2018. It’s the perfect remedy to making all your worries and cares disappear for 2 1/2 hrs that is! OMG Legally Blonde is back in town! Anthony Williams UK revival of the musical adaptation of the hit 2001 film, which starred Reese Witherspoon in the iconic role of Elle Woods, is back in a dazzling pink-hue production of frothy songs, fabulous sets and catchy dance routines. 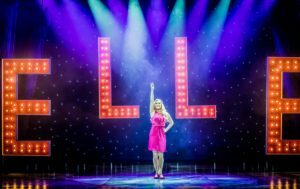 With more sparkle than one will find on Strictly Come Dancing, Legally Blonde The Musical, will brighten up the coldest and darkest of winter nights. Based on the hit film it follows the perils of Elle Woods played by home-grown talent Lucie Jones, a cheer-leading sorority girl who ditches her air-head image to train as a lawyer at the prestigious Harvard School of Law in the hopes of winning back her preppy boyfriend, Warner Huntingdon III, played by Liam Doyle. Packing up her trusty pooch, Bruiser, and with the support of a new bunch of friends she quickly learns that one can be an intellect, have a heart, superior fashion sense all whilst battling against envy, pettiness and a sordid professor. Lucie Jones is a perfect fit for the role, her beautiful voice and her ability to do the bend and snap to perfection brings the perky Elle Woods to life in all her pink glory. Whereas Liam Doyle who plays Warner Huntingdon III exceptionally well especially when singing Serious, where Elle is expecting to him to propose but ends up breaking up with her. However, Rita Simmonds (most well-know for playing Roxy Mitchell in EastEnders) is a true revelation with her beautiful singing and great characterisation of salon owner Paulette Bonafonté. 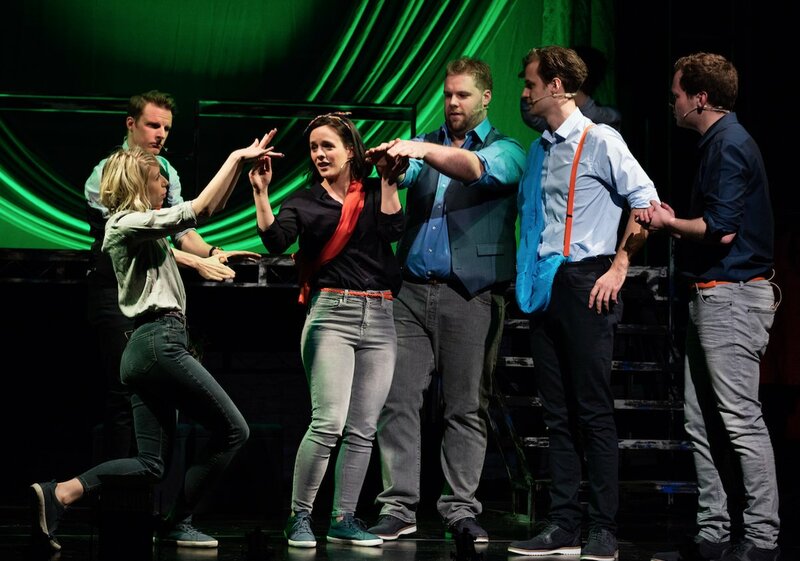 Her ode to her character homeland with the song Ireland saw Simmonds balance comedy with genuine emotion perfectly all whilst doing a fabulous river dance. As for Bill Ward’s interpretation of the disgustingly slick Professor Callahan, he commends the stage with his presence and gets all the Panto boos, the highest accolade for any antagonist. It’s safe to say that the biggest cheers of the night and who drew the biggest smiles from the audience was the four legged cast comprising of Bruiser played by Bruisey Williams-Dood and Rufus played by a local star canine. 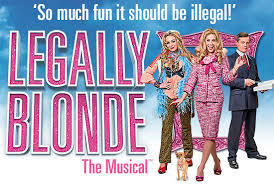 Legally Blonde The Musical is fun and fluffy, lifting the darkest of spirits and bringing them into Elle Woods’s fabulous bubble-gum pink world. It is light-hearted and delivers its fair share of touching moments all set against a backdrop of glitz, glamour and girl power. 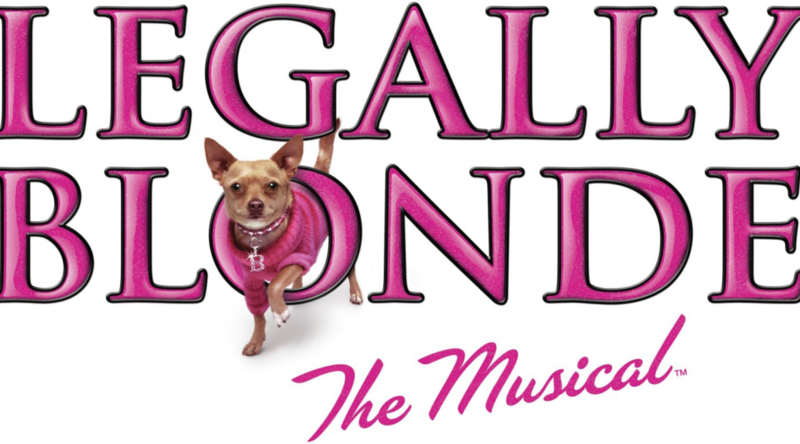 Tour dates and ticket information can be found on Legally Blonde The Musical website. 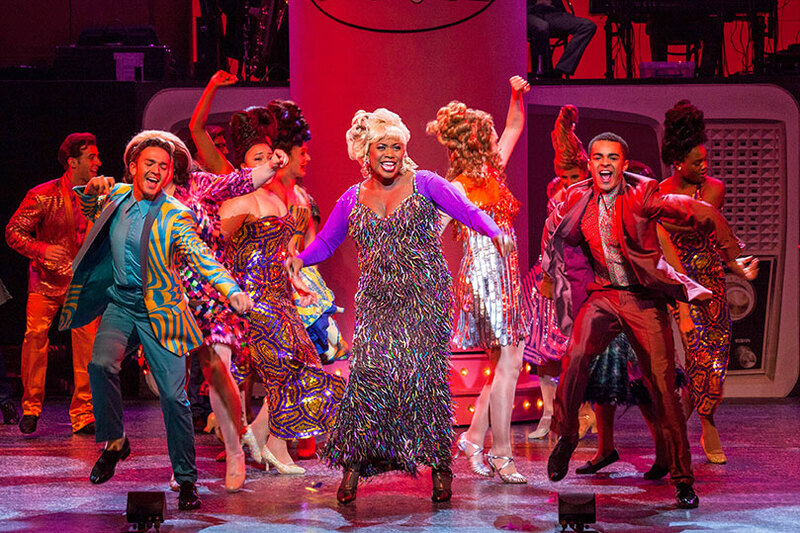 Hairspray is back and bigger than Tracy Turnblad’s hair. It’s louder than the Corny Collins show at full volume. It’s a big bouffant of a musical! 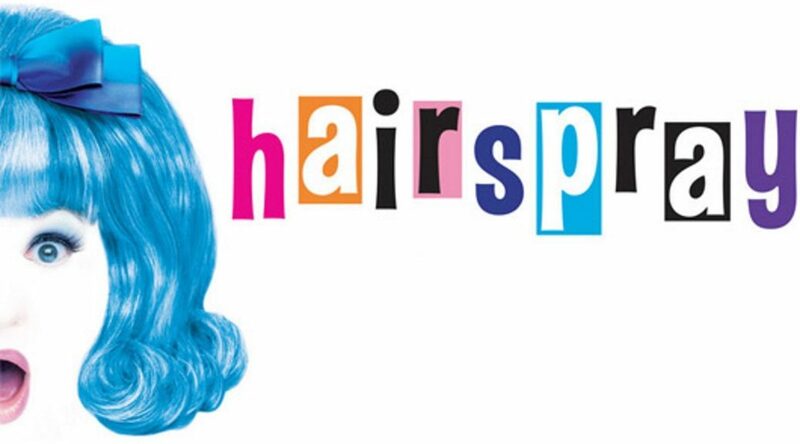 Set in 1962 Baltimore, Tracy Turnblad, a big girl with big hair and an even a bigger heart, is on a mission to follow her dreams and dance her way onto national TV with The Nicest Kids In Town. Tracys audition not only makes her a local celebrity, she sends sales of Ultra Clutch Hairspray through the roof and bags local heartthrob Link Larkin. However, when Tracy uses her newfound fame to fight for equality, it puts her at loggerheads with Velma Von Tussle the producer of the show but also mother of the show’s “star” teenager, Amber Von Tussle, jeopardising her place on the show and her freedom. 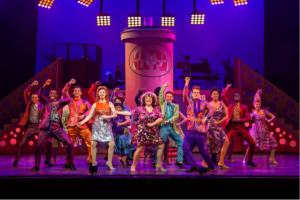 From the opening vamp of “Good Morning Baltimore,” to the final chorus of the finale, “You Can’t Stop the Beat,” the shows score a mixture of bubble-gum pop to rhythm and blues is irresistibly catchy. 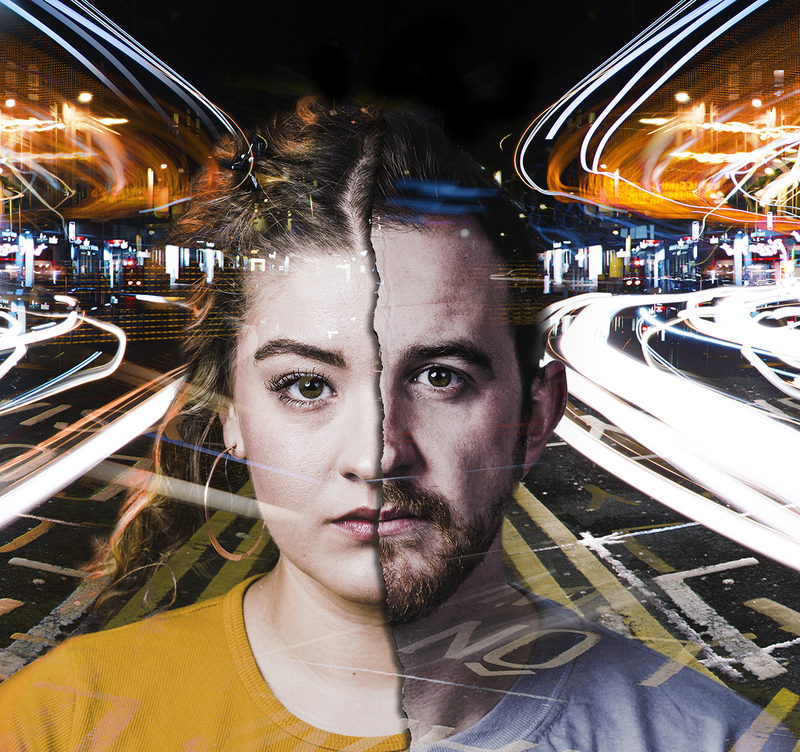 Rebecca Mendoza shines in her professional debut as Tracy whereas Edward Chitticks plays Link Larkin with the right amount of cool that manages to capture your attention and make your heart flutter every time he is on stage. As for Layton Williams who is best known as Stephen Carmichael in the hit BBC Three show Bad Education, he presents a dazzling array of dance skills all whilst crafting a touching relationship with Liard-Bailey’s Penn. 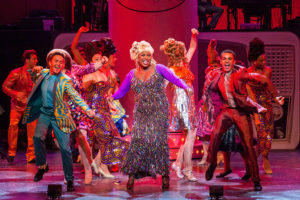 However, it is the coupling of Mat Rixon and Norman Pace as Edna and Wilburn Turnblad that gives the show a fantastic comic spark. Their duet of “Your Timeless To Me” was delivered to perfection and Pace body language had the audience in stitches, which makes it shame that the audience saw so little of the two together during Kerryson’s production. The show features an impressive variety of costumes by Takis from the fabulous ’60s fashions Tracy and Edna get from “Mr. Pinky’s Hefty Hideaway”, to Corny’s comical red sequinned suit, and, of course, the giant hairdos sprayed with the titular product. However, Takis’ reliance on a projected backdrop to capture the Civil Rights protests meant at times the stage felt slightly bare but nevertheless did an excellent way of demonstrating the two sides to American society at the time. 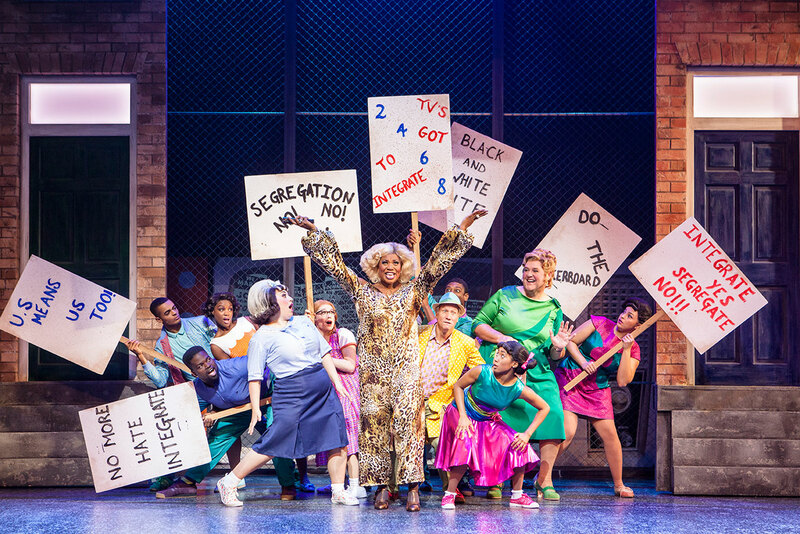 Hairspray is full of colour, soul and free spirit that defined the 60s. It is the ultimate feel good show and judging by the amount of smiles in the foyer as people left the venue they didn’t want the beat to end. Burning Lantern Fayre was the heritage attraction’s first large scale music event. 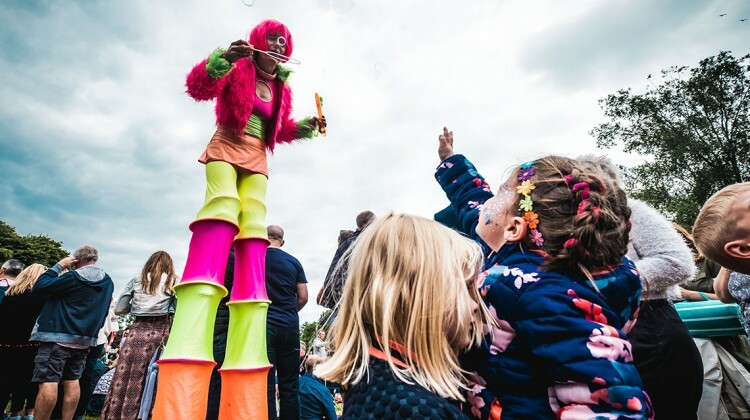 Over 8,000 people descended on the country fayre styled event set in the picturesque grounds of St Fagan’s National Museum of History, Cardiff one of Europe’s leading open air-museum on a sunny albeit chilly evening. With big names live on the main stage from the moment the gates opened, street food (Cavavan, The Grazing Shed, Taste of Spice and Dusty Knuckle), a crafts and activities tent, storytelling, a children’s entertainer, circus skills, pony rides and a vintage funfair. It is safe to say that no one was bored or hungry at the inaugural Burning Lantern Fayre! 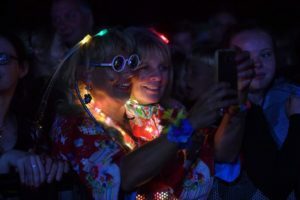 Performances came from headliner Brit and Ivor Novell award winner Tom Odell, who gave an electrifying and charismatic performance, which featured a mesmerising light show. His unique show featured a number of hits but it was the songs ‘Still Getting Used To Being On My Own’, ‘Concrete’, ‘Hold Me’ that captivated the audience and really demonstrated why Odell is being touted as one of the country’s finest singer songwriter. 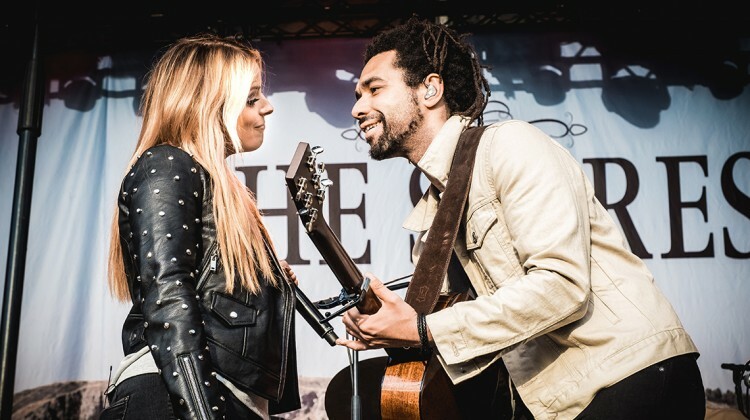 Whilst the UK first country music act to chart in the Top 10 Album Charts, The Shires, livened up the billing. Their 45-minute stellar set included a string of their biggest hits including: ‘Daddy’s Little Girl’, ‘Nashville Grey Skies’ and ‘Friday Night’, thoroughly entertained the 8,000 strong crowd and signed off their set with a promise to return to Cardiff soon. 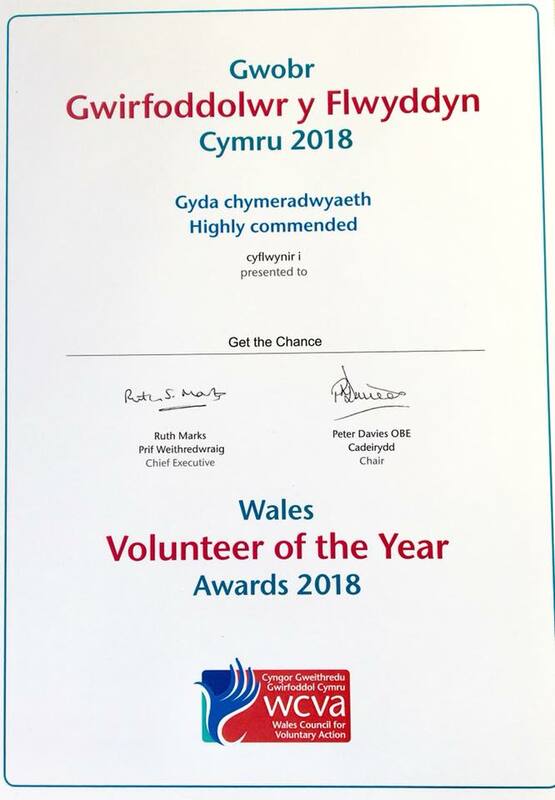 Whereas top Motown act, Martha Reeves & The Vandellas, despite not being everyone cup tea where given a true warm Welsh welcome. However, it was hot act of the moment Jack Savoretti that brought the biggest cheers of the evening and his set went down a storm. 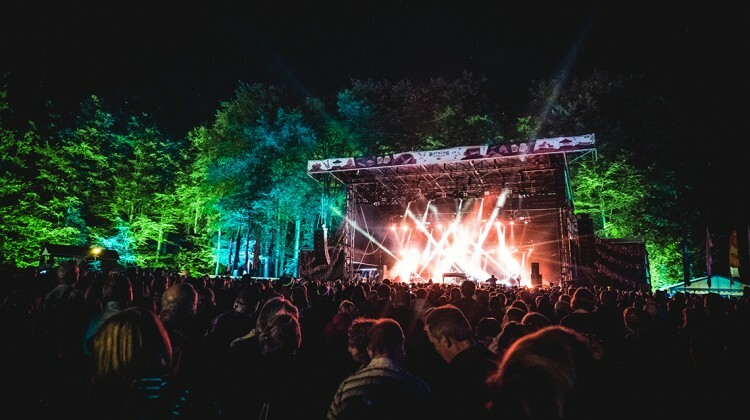 His live set included performances of his many hits including; ‘When We Were Lovers’, ‘I’m Yours’ and ‘Tie Me Down’, certainly got the crowd in the festival mood as the sun set on the stunning location. The first even Burning Lantern Fayre was a huge success with the 8,000 strong-crowd enjoying a variety of music, entertainment and food under the sunset skies. 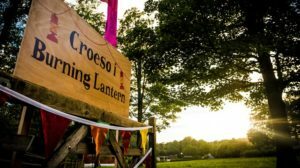 Here hoping that the buzz of Wales’ newest music event hopefully ensures it was the first of many Burning Lantern Fayres to come! The T-Birds and the Pink Ladies are in the building; Grease has arrived at the Millennium Centre! 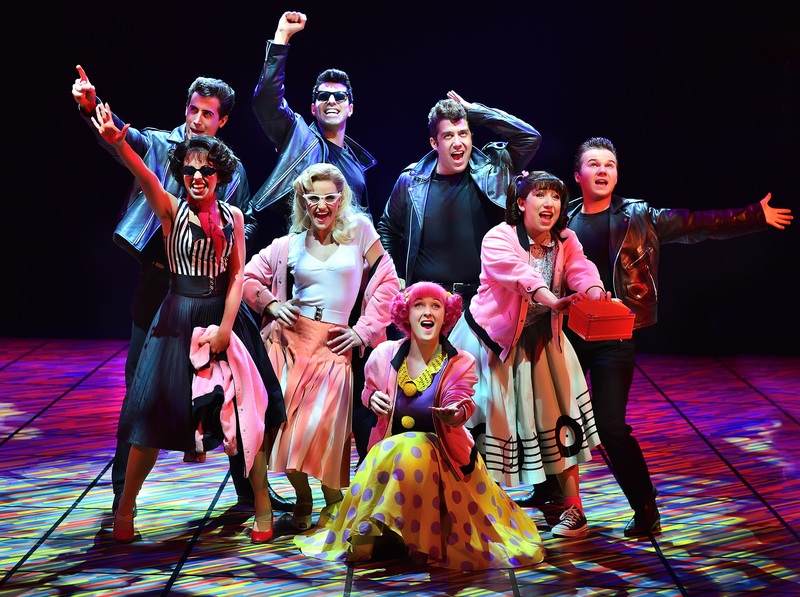 Featuring everyone’s favourite characters – Sandy, Danny, the sassy Pink Ladies and the groovy T-Birds, the whole gang is back together at Rydell High along with all the unforgettable songs of 1978 hit movie. The original high school musical is back and better than ever! 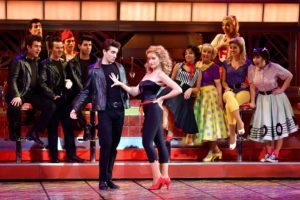 A talented cast comprising of Tom Parker, from the UK’s top boy band The Wanted as tough boy Danny Zuko, Over The Rainbow winner Danielle Hope as Sandy, Strictly Come Dancing’s Louisa Lytton as Rizzo and Jimmy Osmond as Teen Angel. Gave it their all as they transported us back to 1950s high-school America for a tale of true love going off the rails before finally getting back on track. Director David Gilmore production of this well loved film is truly electrifying; neon signs, fireworks, numerous costume changes, and the car that magically transforms into a glittermobile kept the narrative flowing at a good pace. Whereas from the opening overture, the band that were clearly visible up and behind the stage were on fire, encouraging audience participation as it played through some of the shows big hits. While former Strictly Come Dancing judge, Arlene Philips, toe-tapping choreographer made you want to get out off your seat and hand jive the night away whilst shouting, ‘A-wop-bop-a-loo-bop, a-wop-bam-boom’! Tom Parker impresses as he makes his musical theatre debut playing Danny and Danielle Hope plays Sandy beautifully. 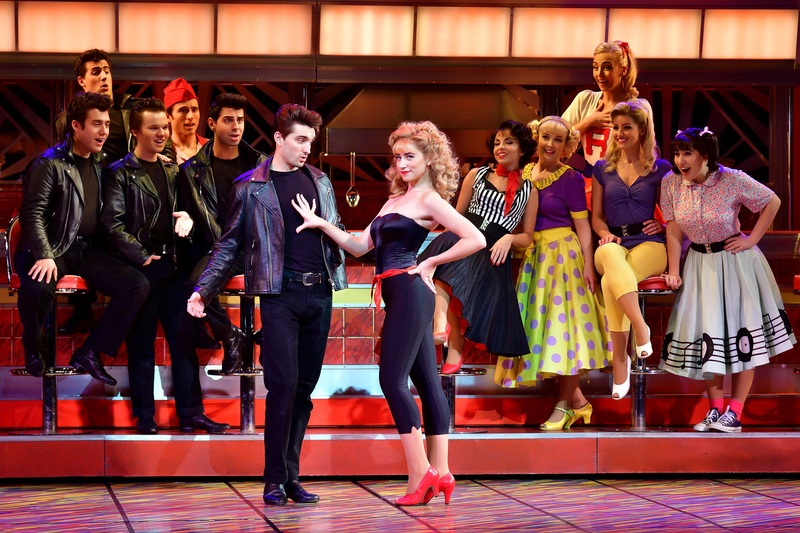 Louisa Lytton made a suitably fierce Rizzo, whereas the arrival of charismatic Jimmy Osmond as Teen Angel in the second half took the show into another stratosphere as it neared its Grease mega mix finale. Gilmore production of this well loved classic leaves your face aching from smiling and your hands from clapping. Grease is still very much the word! You have until Saturday 29 July to see the show. Tickets are available online and over the phone by calling 029 2063 6464. 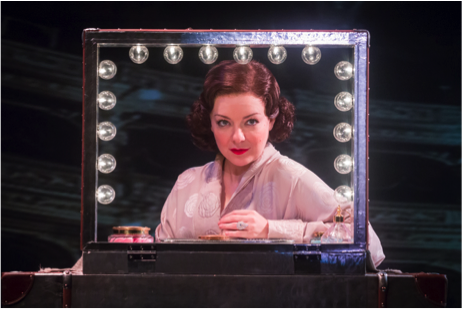 Sheridan Smith makes a joyous return to theatre in the role of Fanny Brice, for the first leg of the UK tour, after a celebrated run in the West End, bringing her own brand of exuberant mischief and spiritual warmth to the role. Funny Girl is a bio-musical albeit more fiction that fact about the popular American singer-actress and comedian who was long associated with the Ziegfeld Follies. One of the biggest stars of the early 20th century, Brice lit up both Broadway and Hollywood with her comedic style and powerful voice. A hundred years later (1968), Barbra Streisand won an Academy Award for her portal one of America’s greatest clowns and a true icon of both stage and screen. Smith was more than capable of overcoming the towering memory of Streisand in the central role, which is no mean feat, with her belting vocals, electable comic timing, assured dancing, earned her an unquestioned standing ovation. It is safe to say where audiences admired Streisand they adore Smith. In her hands, the lively Brooklyn joker is an intricate tangle of competing emotions, all covered up with a big, bright, Broadway smile. 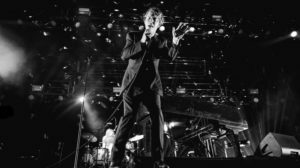 The songs, in particular, Smith makes entirely her own, even though her voice isn’t exactly beautiful, it aches with conviction. Her tremendous rendition of People is steeped in yearning but also cut through with defiance. Whereas Don’t Rain on My Parade, Smith avoids brassy rhetoric to suggest a lonely woman exulting in her newfound happiness. All of which helped to strip the layers of armour-plated implacability to make Fanny a more likeable human being. As for Darius Campbell, despite looking good in a ruffle shirt and singing each note pitch perfect he was unable to find much colour and variety in the one-dimensional character Nick Arnstein, a part made famous on screen by Omar Sharif. The best support for Fanny comes from Rachel Izen as Mrs Brice her aspirational mother and Joshua Lay as her lovingly loyal dance teacher, Eddie Ryan. Whereas the ensemble tap and ballet numbers from the talented cast were a joy to watch, but were ultimately there to simply support a superstar, Smith. Who has the presence and talent to wilt the hardest hearts, and deserves a packed out auditorium for the rest of the run. 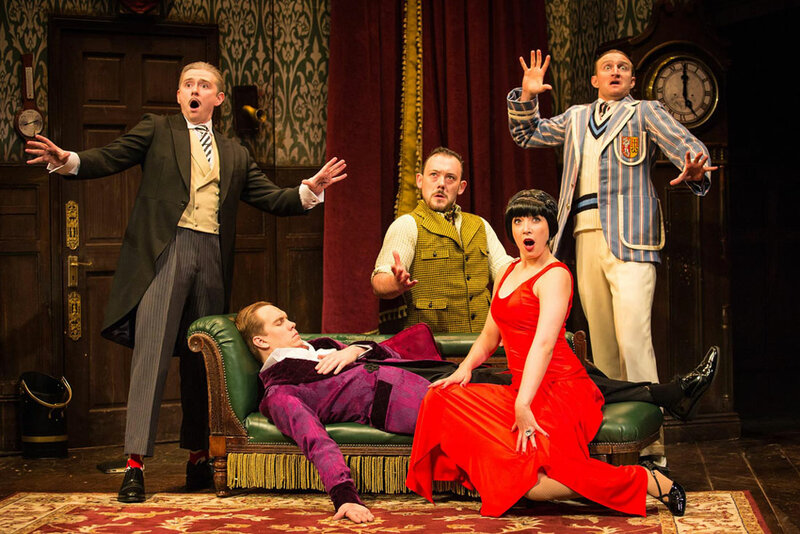 The hit West End comedy with its unforgettable characters from the landmark novel and Oscar-winning film are brought to life on the stage of Cardiff’s, New Theatre. Based on the novel by Charles Webb and the 1968 film, it concerns Mrs Robinson’s played by Catherine McCormack, seduction of young middle class rebel without a cause character Benjamin Braddock, played by Jack Monaghan. Who is struggling to come to terms with his future, worrying that his family expect too much from him, and feels thoroughly disillusioned. However, when seduced by long-term family friend the sensational Mrs Robinson his boredom takes a new direction. And when he has a date with Mrs Robinson’s daughter Elaine, he finally finds some meaning to his life, a meaning that Mrs Robinson opposes! There is no denying that since it was first written and later immortalised on the big screen the world has drastically changed, which is reflected both in Terry Jonson’s adaptation and Lucy Bailey’s direction of the story for the stage. In no way does it shy away from the prejudices of that time, and in doing so gives the audience a sense of progress that we as a society have made in regards to sexism. Yet at the same time it gives you pause for thought in relation to how little progress we’ve made in some areas too – especially our ability to communicate with those around us. This theme in the play gives a great sense of amusement and laughter for the audience, especially when touching on the idea of a ‘generation gap’ in scenes between Ben and his Dad. As well as a much-needed sense of relevance, as we now live in a world where such dalliances have become the norm albeit not always outwardly accepted by those around us. Yet the idea that young people see a different future to their parents, but struggle to communicate that future, is still very much relevant albeit not as new as it was in the 60s. However, to pull off Charles Webb’s original novel, which is a thing of beauty, takes a cast of supreme talent to pull it off. Unfortunately on this occasion, Bailey has failed to assemble such a cast; there was a lack of chemistry between the two leads and the attempt to bring emotional ballast to the piece in the second half by bulking up the role of Mrs Robinson’s daughter, Elaine, played by Emma Curtis. Turned The Graduate from being a dark, funny and beautiful satire of suburbia into a thin story about a kid who feels unsatisfied with his life, chucks his chances away and emerges relatively unscathed at the end.